Like and unlike the only "independent”journalist in Eritrea". (UGANDA ) - Eritrea which is known by all accounts of human rights groups as the top jailer of journalists in addition to a closure of all venues for free expression reportedly hosts, according to www.countercurrents.org, the one and only western “independent” journalist since 2006. He is called Thomas C. Mountain. Because of the power outage that occurs every other day--sometimes every day-- in Kampala that lasts for over 24 hours, I didn’t have the luxury to find out more about him using search engines such as Google. Concluding that he must be a renegade American journalist, I just went on cracking on my laptop not wanting to waste the opportunity of having electricity, albeit briefly, which has become a rare luxury nowadays. Yet, I never forget the feedback I received after commenting on his piece which I read for the first time on a Ugandan website. It was a writing heavily influenced by Eritrean secessionist historiographers. The editor of the website sort of responded to my SMS “that’s Mountain for Afwerki as Mwenda is for Kagame. 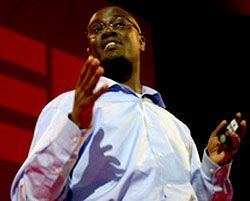 ”Andrew Mwenda is a celebrated Ugandan journalist with one or two prestigious awards to his credit.Lately, however, he caused many to wonder as to whether he turned as a PR figurehead for Paul Kagame of Rwanda, another autocrat who is in the habit of locking up critiques and dissidents using the genocide of the early 1990s as a lame excuse and scarecrow. Whether Mwenda has become Kagame’s PR or not by successfully polishing his image in the eyes of the “international community,” one thing is clear. Instead of falling out of favour, as feared by his supporters and desired by his opponents, Kagame managed to turn around all the negativities about him in the power corridors of the western world, thus an invitation to Paris. Note that France has been his nemesis until recently. In addition to catering to the western interest, lobbying is vital in the “global” village that reduced the concept of democracy and human rights to mere products of commerce which can be traded off and bartered up on. 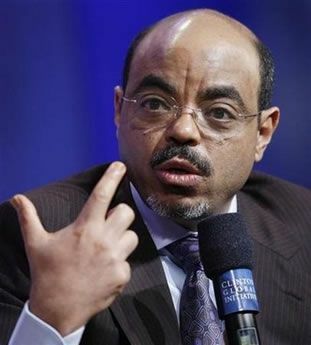 While I share certain sentiments with Mountain concerning the double standards of the “international community” which makes me like him, unlike him, though, this fact doesn’t make me blind to the excesses of tyrants such as Isaias Afwerki whom the western powers condemn for the wrong reasons. Putting aside my difference with Mountain for the moment, I hereby dwell on a point where I would like to back him up with my own thesis. 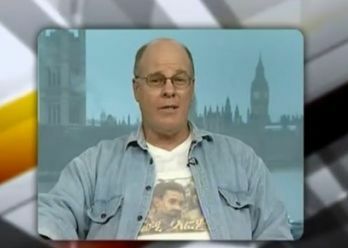 Long before the Wikileaks cable came out that disclosed further information to the gullible world including about the diabolical nature of the regime of Meles Zenawi, I maintained that it is capable of bombing Ethiopians and blame it on phantom terrorists for two purposes; namely to crackdown on legitimate opposition groups, critiques and dissidents. Secondly, by posturing as an ally on the "war on terror” it sought and got favor from the west. See my writings titled “The Great Lakes & Horn of Africa; different places, same tactics” posted on www.ugandarecord.co.ug on September 9, 2010 and “Open letter to all Ugandan Members of parliament on www.salem-news.com posted on August 1,2011/. One doesn’t have to be a rocket scientist to arrive at this terrible conclusions. Nor was there any need for an elaborate scheme of espionage that led to “clandestine reporting” as Vicki Huddleston, an American diplomat at the time, had it, according to Wikileaks.It was an open secret between Ethiopians. Besides, this is one of the oldest dirty tricks that governments use to distract public attention from their missrule. Apart from Ferdinand Marcos, former President of Philippines, who bombed public facilities in order to blame it on the commies thereby declare state of emergency, Jesse Ventura in his book “American Conspiracies” provides us with compelling evidences and anecdotes that the biggest “democracy” itself is not clean from this oldest sin. When not detected and unchallenged, it’s a sin that all powerful agencies succumb to. 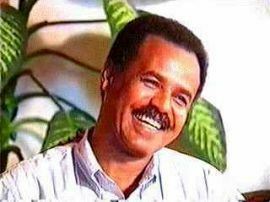 Therefore, in spite of having no illusion on the sainthood of the Eritrean régime, I cannot and will not take the UN Monitoring Report seriously whose sources among others are detained individuals in Ethiopia under a system known for routinely torturing inmates to extract self-incriminating statements. Sadly, since the Ethiopian regime is currently engaged in a new wave of unprecedented crackdown on opposition figures, critiques and journalists alike on a bogus charge of terrorism, it’s expected that the UN report will be cited as “ the most credible proof” of their crime before the Kangaroo court. On top of the double standard that UN often dabbles into, this shows that in the process of being a tool to the big powers to tighten a noose on an undesirable despot that there is no compunction to also sacrifice a few innocent souls to the altar. Meanwhile, if Afwerki had a powerful lobbying group or a card he could have played against the western’s interest, this report would have been nipped in the bud like the draft report on Rwanda and Uganda that accused them of committing war crimes in DR Congo. Instead of Afwerki flying out to neighboring countries in the region to marshal support, he could have forced figures like Ban ki Moon run to him as he was forced by Kagame to Kigali. Or he could have made the star author distance himself from the report like Goldstone who backtracked from the UN Fact-Finding Mission on the Gaza Conflict. In a nutshell, I agree with some modification with Thomas C. Mountain that the regime in Ethiopia - not Ethiopia bombs its own people. See “Wiki leaks Ethiopia files; Ethiopia Bombs itself, Blames Eritrea, Oromos” on www.countercurrents.org September 16, 2011. An Ethiopian Human Rights Defender exiled in Uganda.